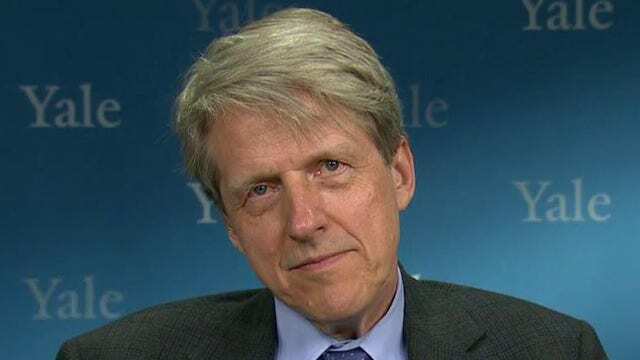 Yale University economics professor Robert Shiller argues all three major asset classes are overvalued. New U.S. single-family home sales rose a bit less than expected in July, but the trend pointed to housing market strength that should underpin economic growth for the rest of the year. The Commerce Department said on Tuesday sales increased 5.4 percent to a seasonally adjusted annual rate of 507,000 units. June&apos;s sales pace was revised slightly down to 481,000 units from the previously reported 482,000 units. Economists polled by Reuters had forecast new home sales, which account for 8.3 percent of the market, rising to a 510,000 unit-rate. Sales were up 25.8 percent compared to July of last year. The housing market is gaining stream, with data last week showing home resales jumped to a near 8-1/2-year high in July and groundbreaking on new home building climbing to its highest level since October 2007. The recovery in the sector, which touches almost all spheres of the U.S. economy, is being driven by a tightening labor market. Solid job growth is boosting confidence among Americans and encouraging young adults to move out of their childhood homes. Could housing benefit from the market turmoil? Housing is expected to contribute to gross domestic product this year, but remains constrained by a persistent shortage of homes available for sale. New homes sales surged 23.1 percent in the Northeast to the highest level since May 2014. Sales increased 6.7 percent in the West and were up 5.8 percent in the populous South. In the Midwest, sales fell 6.9 percent. The stock of new houses for sale increased 1.9 percent to 218,000 last month, the highest level since March 2010. Still, supply remains less than half of what it was at the height of the housing boom.